A well considered investment in the wind power industry can be made in Sweden at this time. The present boom in this commercial enterprise is worth at least 6 billion USD (United States Dollar). The bonanza began when the nations of Norway and Sweden signed an accord in 2012, that they would share the renewable energy being generated in wind. As western Europe’s biggest natural gas and oil producer Norway has decided to make a major investment in wind power. The country plans to triple the amount of wind energy produced by 2020. The problem is that Norway has only put in less than 10% of what will be needed, in order to be compliant with the pact. Sweden on the other hand is moving forward at a rapid pace. Some analysts estimate the rate to be 7 times faster than Norway if one compares the amount of turbines being installed. The problem in Norway is tax policy, which translates in the lack of government initiative in fulfilling the tenements of the treaty signed with neighboring Sweden. Employment in the industry is expected to triple in the next 15 years. 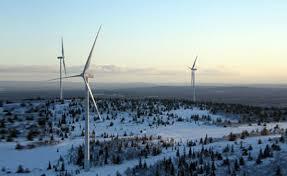 As of 2013, the state owned power company in Norway has not built a single wind power project since 2006. However,it did spend $1.2 billion USD on turbines in Sweden. Why would the government owned Statkraft AS do this? It all comes back to how the investment in wind power will be made, as well as a consideration in geography. It must be noted that Norway’s topography and resulting weather conditions are less attractive to the developers of wind power. Although Norway has the capacity to produce more because of greater wind capability it can be extremely turbulent at times. Construction and regular maintenance is more difficult in such conditions. As travelers to this area of the world will testify, the weather and wind are both quite volatile. The development of wind power in Scandinavia will increasingly matter as Europe on the whole is attempting to move towards energy independence. Although the 2012 agreement between Norway and Sweden was before the crisis in the Ukraine, events there will put a renewed focus on renewable energy and more importantly independent of Russia. Russia supplies about a quarter of the natural gas needs of the European Union. The Baltic Republics of Estonia, Latvia and Lithuania as well as Finland are quite dependent on Russian supplies. As the new Cold War with Russia and the West intensifies, it is important to note that oil and gas make up 70% of Russia’s $515 billion annual exports. Over half of the federal budget in Russia is derived from energy exports. Although there is no political will at present to boycott Russian gas or oil in Europe, Russia may instead place an embargo on such exports. The employment in wind energy is big business in Europe. The industry employs over 200,000 people and there has been a 30% increase since 2007. The number of jobs in the business is expected to reach almost 800,000 by 2030. 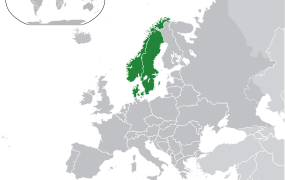 Norway has the longest coastline in Europe at 16,000 miles which is the equivalent of 25,000 kilometers. However because of the lack of proper tax advantages and extreme weather conditions only one energy park has been built since 2012. 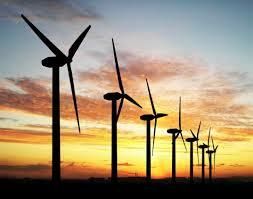 Just a mere 45 megawatts of wind projects are under construction at present in the country. That is not encouraging if one considers that one turbine built on the coast can usually generate between 2 to 3 megawatts of power. It has been estimated that since 2012, Norway and Sweden together increased renewable energy production by 7.9 terawatt-hours. It was Sweden that accounted for 85% of the added output. Whereas Norway erected 112 turbines during the last two years, Sweden has constructed 771. The big difference for investors is that under Swedish tax law depreciation is much more favorable then what can be expected in Norway. In Sweden for example, most of the value in equipment and machinery including the turbines themselves can be depreciated in five years. 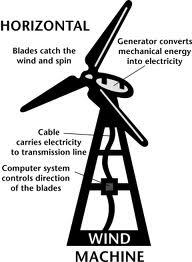 This allows turbine owners the ability to reduce their taxable income by a substantial amount. The end result is that it can make a big difference in the total tax actually paid over time. This contrasts with Norway where write off times for tax purposes can vary greatly. The time period can be as much as 17 years which greatly increases the tax liability. In Norway, wind generators are treated differently then related equipment and infrastructure. So far changes in tax deprecation has not occurred in Norway. There is more impetus recently however, as Sweden’s building of wind turbines is surging forward. The urgency has become more evident as energy consumers in Norway have already paid close to 1.8 billion kroner into the scheme. This is equal to some $300 million USD. Some politicians in Norway have become concerned, since estimates are that the costs for the plan will rise to 40 billion Norwegian kroner over the next decade and a half. The approximations are based on current prices. Most worrisome for Norway, is that the majority of this money will be paid to renewable energy producers in Sweden. Under the renewable agreement between Norway and Sweden certificates are issued to renewable energy producers for each megawatt-hour they generate. This is done for the first fifteen years in the individual power generator. Suppliers of electricity must buy the certificates to match general demand. The cost of course, is passed on through to residential energy users. This is regardless of where the renewable projects actually are. 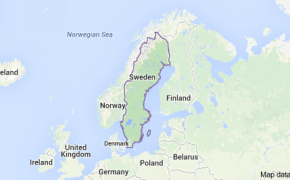 Norway and Sweden together are wishing to add 26.4 terawatt-hours of new renewable energy production by 2020. This would be the equivalent of about 9% of all energy output in the region. Before the accord with Sweden, it was expected that Norway would construct about half of the wind power facilities. It was to equal 3,000 megawatts of power capacity. It would of required an investment by developers and entrepreneurs of at least $5.5 billion USD alone. Wind output in Sweden rose 38% to a new high of 9.9 tera-watt hours as of last year. Each terawatt hour is equal to one million megawatt. In comparison the largest nuclear operator in the Nordic market produced a total of 9.4 tera-watt hours last year. Part of the lack of emphasis in Norway, is that the country gets 97% of it’s electricity from hydro-power. Although the country did see the advantages of investing in wind power, in times of exceptional cold weather or possible drought, when water power output would be lower. Norway has agreed to meet the new European Union goals of having 68% of all energy needs come from renewable sources by 2020. This would include heating needs as well as transportation. It was 58% in 2005. The pact between Norway and Sweden did not anticipate the drop in energy prices. This forces investors and developers to more closely scrutinize costs. Electricity prices across Scandinavia have dropped about 20% since 2012. This is why the tax issue in Norway has become more pressing. Some in the Norwegian government are not overly worried about what has happened. They claim that the turbines should be built were the situation is best suited for their construction. This opinion is not shared by everyone of course. There are those that insist tax policies should be equalized in both countries in the issue of fairness. Sweden alone consumes about 150 terawatt hours of electricity yearly. Six of them are generated from domestic wind power sources. Several times as much is imported from Denmark which has a sizable amount of surplus wind power. Sweden already had a total of 2,000 wind turbines at the end of 2010. The goal now is to increase domestic production substantially, through two large new energy projects. 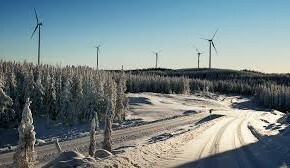 A series of wind farms are to be built in Norrbotten County. Collectively known as the Markbygden Wind Farm it is touted as the largest project to date of wind power in Europe. Due to be completed in 2020 it will have the capacity of 4 gigawatts. The wind farm will cover 450 hectares which is roughly 1,100 acres. With 1,100 turbines it is expected to produce up to 12 terawatts yearly. Construction costs are estimated to be $6.9 billion USD. 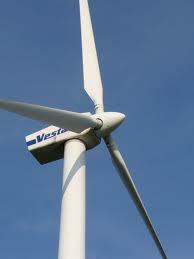 The other project is to be spread out over 7 wind farms a total of 400 turbines. This undertaking will cost a total of $2.4 billion USD. These units will be located in the counties of Jamtland and Vasternorrland. It will account for between 2% to 3% of Sweden’s needs in electricity. Expected output is 2,800 gigawatts per year. Despite these two vast projects, more investment in the wind industry is expected as more companies are looking to capitalize on this growing energy sector. If one is interested in this type of technology as an investment, Sweden is one of the most progressive markets in wind power development. ← Next Post Will Investors Benefit From An Independent Scotland?